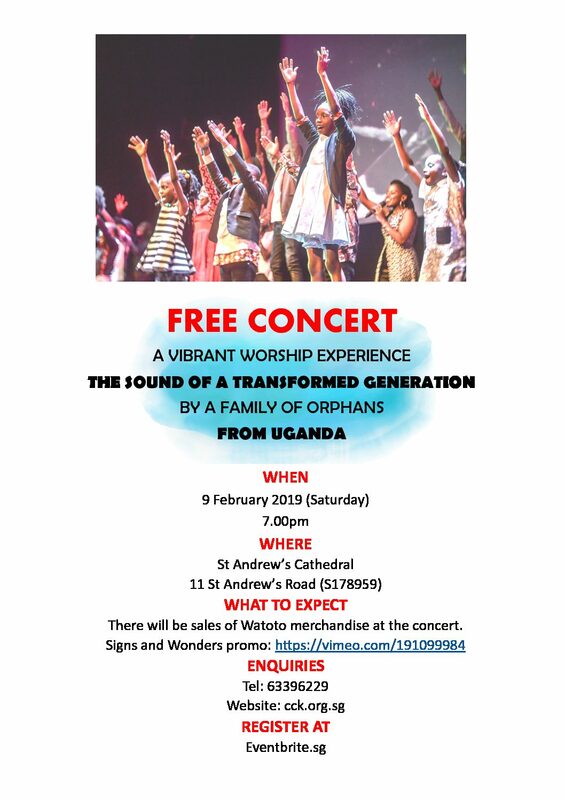 Watoto Children’s Choirs have travelled extensively since 1994, sharing a message of hope for Africa’s orphans and widows. To-date, the choirs have toured six continents and performed to enthralled audiences in schools, retirement homes, churches, parliaments, state houses and royal palaces. The choir group coming to Singapore this year comprises 18 children aged 7-12 years and 10 adult caregivers. Click the link below to register for concert tickets.